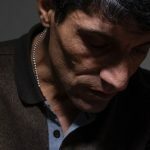 Also, the news mentioned above could be linked to another news that the Albanian media linked two months ago with the arrest of two Albanian Jews at Tirana’s airport and the discovery of one million euros of cash and these two men were considered responsible for the clearance of money with the responsible construction company. “Ashraf 3”, although all these were investigated by security authorities. But what has become clear now is that Albania has become the center of close ties between Mojahedine-Khalq with the Israeli security service, Mossad. 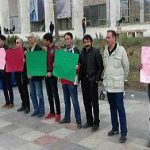 It is not clear, in the present circumstances, what will happen to the prisoners in Ashraf 3 prison and the violation of human rights? In previous articles I have referred to the goals of “hands-on spies”, meaning Mojahedin-e Khalq. There has been a radical change in the organization Mojahedin by a political and social organization in a cult serving intelligence. Previously it was in the hands of Saddam Hussein, then of Saudi Arabia, Israel and the United States. Therefore, most of the Mojahedin-e Khalq located in Albania and what is known as the “Third Camp” can be used for intelligence services. But it is necessary to clarify that if the Mojahedin-e Khalq organization and its leadership are called “spies”, this term was used in the knowledge that the Mojahedin-e Khalq was not essentially due to the lack of minimum levels of political and social power in Iran, where they do not even have the potential to be “spies”, but because they have a long history of employment and penetration to foreign countries and, in this regard, are trustworthy. Therefore, the forces of the Mojahedin-Khalq Organization in Albania can be used as a tool for intelligence services and this is probably why Israeli political and diplomatic activities have spread to Albania. The physical bond between Mossad and the Mojahedin-Khalq Organization is better than in the past to be used in the face of possible challenges to the Iranian government and the Middle East conflicts. You know that mercenary and spying by the leaders of the Mojahedin-Khalq Organization has a history of links between Mohammad Reza Sadati, a central member of the KGB organization, the former USSR Union’s Security Service in the last four decades in the extended and systematic ties of Masood Rajavi and Mahdi Abrishamchi with Saddam Hussein’s Information Service and also Maryam Rajavi’s links with Saudi Arabia’s Intelligence Service in recent decades. But now Albania is the main area for the Israeli intelligence service and the ties of this service with the Mojahedin-Khalq. This co-ordination seems to have been made for deeper engagement between Mossad and Mojahedin-Khalq after the visit of US Senator John McCain to Albania last year. It should be remembered that McCain met with Maryam Rajavi in Tirana in April 2017, and Mojgan Parsai and other representatives of Masood Rajavi and Maryam Rajavi participated in the gathering of this cult in Albania. In parallel with these visits, Senator McCain also held important meetings with the Albanian authorities, who were not without regard to the visit of Mojahedin-e Khalq leaders. In this regard, according to Albanian media in May 2018, the Israeli Defense Minister has paid a visit to Albania and the Albanian media have paid this visit to Iran and Mojahedine-Khalq. If the question of the responsibility of the Israeli official in the military and security field would be considered, the assessment of the Albanian media would not be worthy of the official visit being Mojahedine-Khalq and how it was used. 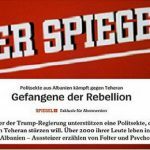 Another evidence that contributes to this debate is the report of an Albanian media, titled “Mossad opens the office in Tirana”, which you can see in the link below. 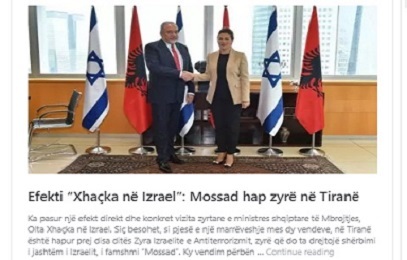 According to political analysts in Albania, the opening of the “Mossad Office in Albania” and the “Office of Fighting Terrorism” may be the scene of rivalries and tensions between Israel and Iran, due to the presence of Mojahedine-Khalq in Albania.